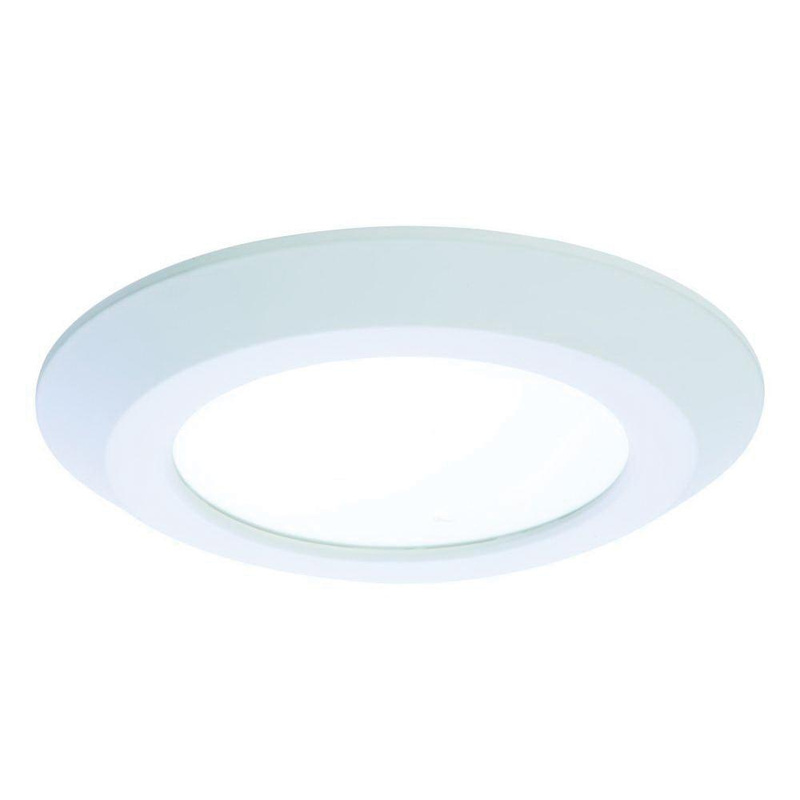 Halo WaveStream™ Collection SLD-600 Series 6-Inch LED Retrofit downlight in white color, employs LED lamp that delivers light of brightness 800 Lumens. LED Lamp has color rendering index of 80 and color temperature of 4000K. It has voltage rating of 120-Volts, current rating of 0.1-Amps and power rating of 12.2-Watts. This 7.79-Inch OD dimmable downlight features die-cast aluminum trim ring and die formed aluminum frame. It supports surface mounting to make installation easy. Downlight features 120-Volt electronic driver for reliable operation. It withstands ambient temperature rating of -30 to 40 deg C. Downlight comes with junction box hardware kit. Downlight is UL/cULus listed, Energy Star® certified and RoHS compliant.